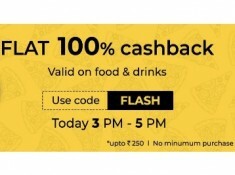 Nearbuy is running a loot offer where you can Get Flat 100% Cashback on Food & Drinks offers. Buy any prepaid deal & enter Related Code before payment on your first purchase with nearbuy.com. No Min. purchase. 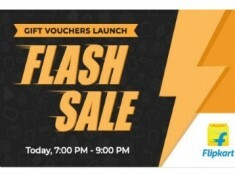 Offer is valid on nearbuy.com between 18th to 20th Jan 2019. Code is not applicable on Gift Cards, Movies, VLCC, CCD, MCD, KFC, 3B's, AB's, Mad Over Donuts, Flechazo, Paradise & Barbeque Nation. To Get This offer here are the steps: No Minimum Amount Required Offer Valid on Only After Apply Code. 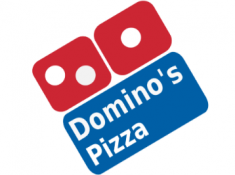 Code is applicable only on Domino's/Pizza Hut Gift Card. 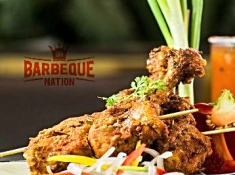 Get 100% (Upto Rs.250) Discount code after making this order. The discount code received can be used on ALL categories except Gift Cards.